The European tourist market has remained relatively unaffected by the political crisis which unfolded in Maldives on February 1, says Ahmed Shiaan, Maldivian Ambassador to European Union. Speaking in an interview to “Sun”, Ambassador Shiaan said only a few tour operators have complained of the current political crisis having an adverse effect on Maldivian tourism. “It’s a mix. Some tour operators say they haven’t noticed a major change, while some say they are experiencing a decline,” said Shiaan. He said the European tourist market has remained relatively unaffected. “There hasn’t been much of an impact on the EU market. But there has been declines from other parts of the world. There may be a decline from markets like India and China due to the current situation,” said Shiaan. Ambassador Shiaan’s comments come after the EU Council issued a statement on Monday, expressing concern for the safety foreigners living in Maldives and tourists. 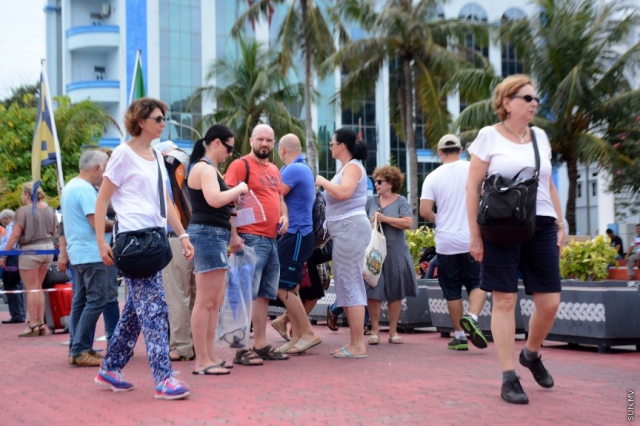 A number of foreign countries – including some of Maldives’ biggest tourist markets the likes of Russia, UK and Germany have issued travel advisories on Maldives. Spain’s Evelop Airlines has cancelled its chartered flights to Maldives from May to October over concerns regarding safety of tourists.